Thinking about starting your own business? But there are so many legal procedures that you need to follow. It’s not always easy. Come along and learn the first steps that you need to follow to start your own company. 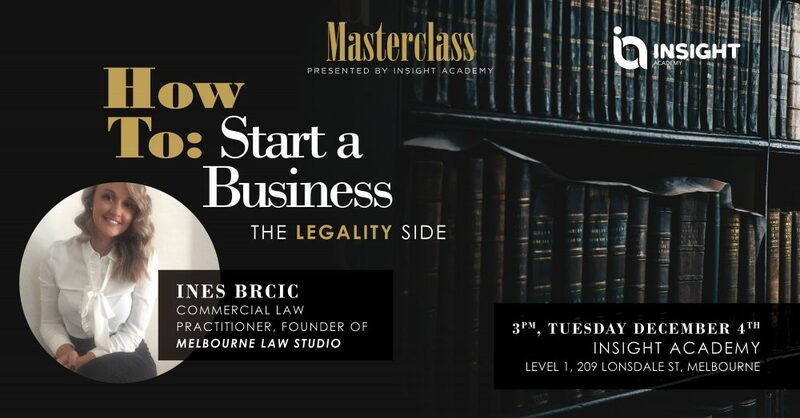 Ines Brcic is a commercial law practitioner & founder of Melbourne Law Studio. She will teach all you need to know about how to start your business, legality side. Also, she will be giving one to one sessions for people that need help with their own start-up.